George and Hannah Parker (centre) receiving their award from awards partner Richard Watson of Reiser and special guest Sophie Grigson. 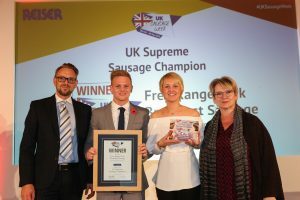 The past week has been a momentous one for Frank Parker Butchers in Nuneaton after the business scooped the UK Supreme Sausage Champion crown at the UK Sausage Week awards lunch. 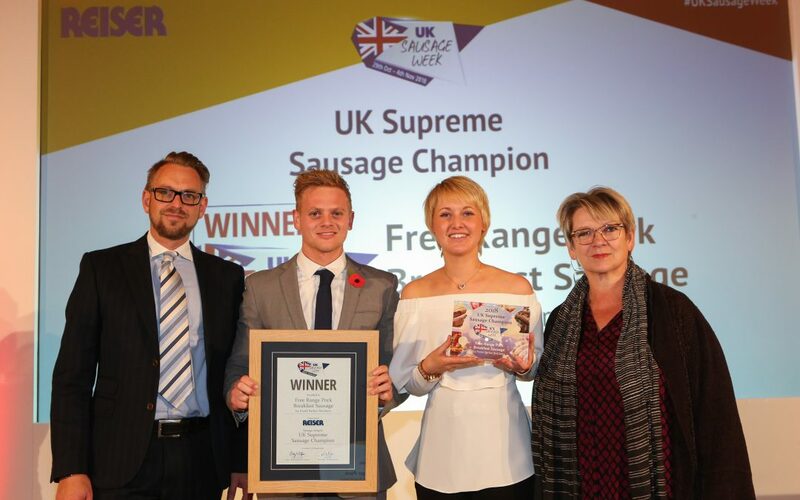 The company received the accolade for its Free Range Pork Breakfast sausage – beating more than 500 other bangers to the title. As soon as the team picked up the award, the phone started ringing with interview requests and the shop saw a surge in interest from customers. 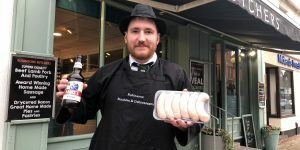 Amongst the many media appearances for Frank Parker Butchers was an interview on BBC Radio 2’s Chris Evans Breakfast Show, the sausages being tasted on Channel 4’s Sunday Brunch and a mention from Chris Moyles on Radio X. In addition, the local BBC radio station in Coventry ran a segment on the win and the Coventry Telegraph published a story. 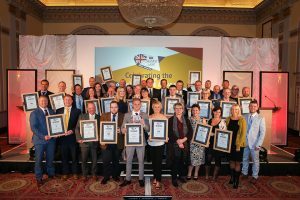 “We have won awards for our sausages in the past but this competition was for the whole of the UK, and we were up against supermarkets as well as other butcher’s shops, so we are over the moon to have won,” Tim added. 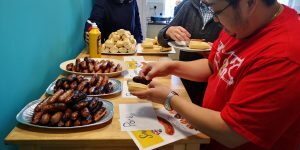 Asked about the winning sausage and why it is so special, Tim said: “Our free range pork breakfast sausage is my favourite and is the most popular with our customers. 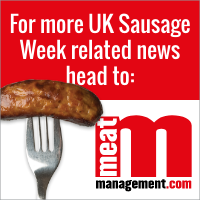 It made sense for us to enter our most popular sausage and clearly we chose well! The business truly is a family affair, with three generations currently involved. Frank Parker’s grandchildren, Hannah and George, the youngest of the family, were delighted to collect the prestigious award at the lunch.